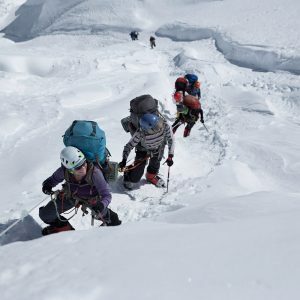 Want to learn more about climbing Manaslu, a classic first 8,000m peak? Contact us today and we will give you all the info you need. 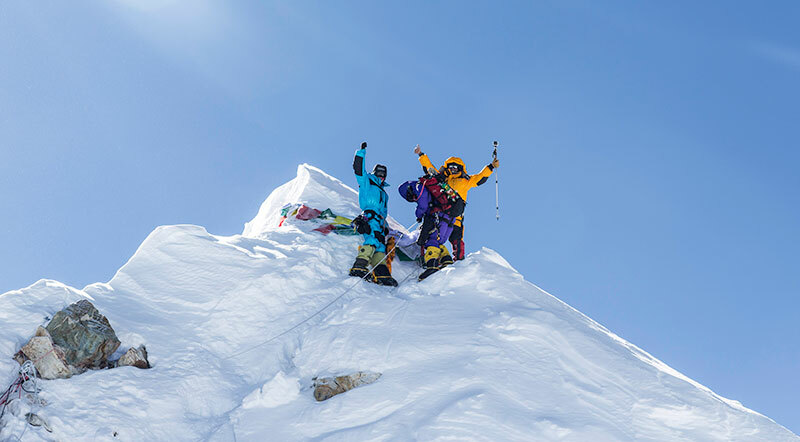 We’ve had a 100% success rate on our last three trips to Manaslu! Join Mountain Professionals for our commitment to safety and providing the experience of a lifetime! Manaslu is located in Central Nepal, rising 8,163m or 26,758 ft. above sea level, it is the 8th highest mountain in the world. 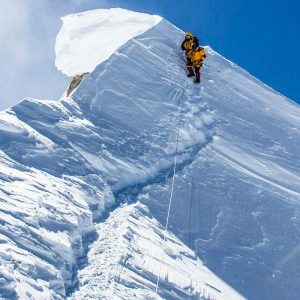 Mountain Professionals is planning a climb of Manaslu’s North East Ridge in the Fall/Post Monsoon of 2018. The expedition in 2019 will be organized by Ryan Waters. 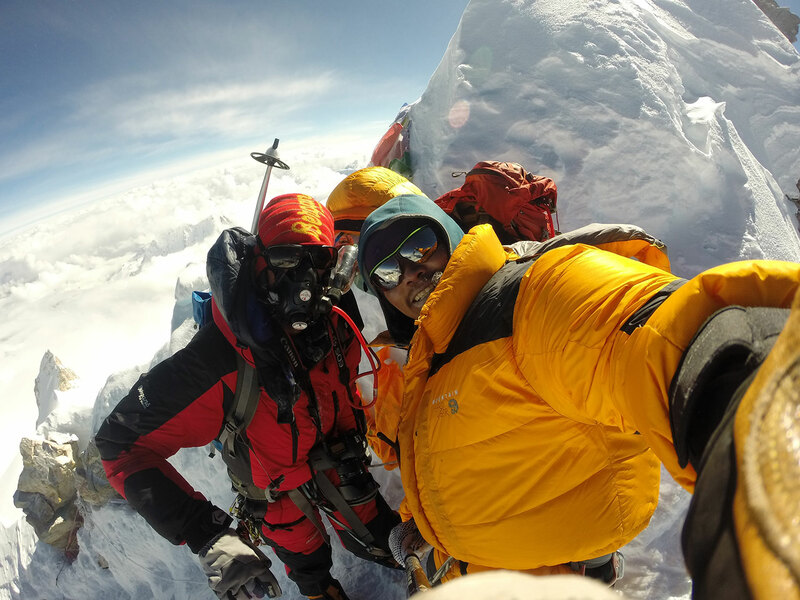 He has in-depth experience leading expeditions to 8000-meter mountains in Nepal, Tibet, and Pakistan. 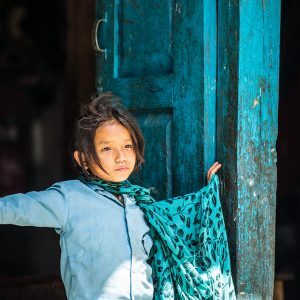 Our Sherpa logistics partners have worked in the expedition business for over a decade as a top Nepali logistics organizer and expedition management team. 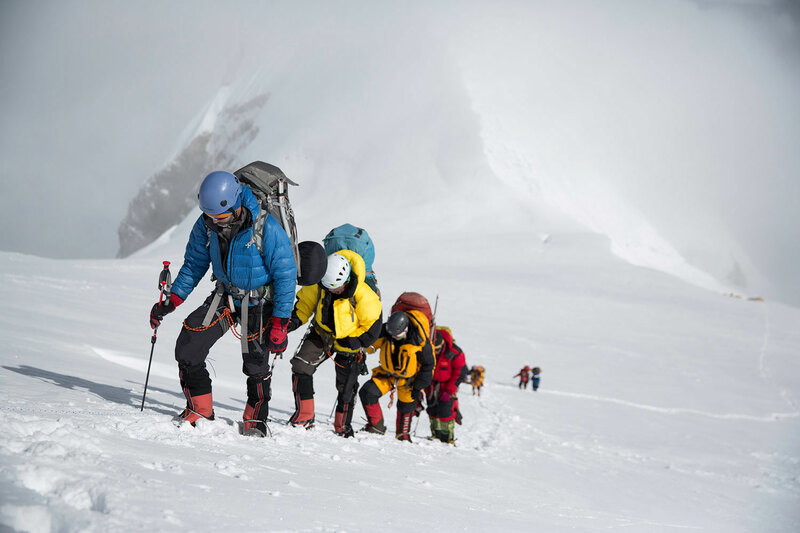 Our team has experience organizing multiple expeditions to mountains including three trips to Manaslu, Everest, K2, Dhaulagiri, Cho Oyu, Broad Peak, Lhotse, Gasherbrum 2, Gasherbrum 1, and several 5000m to 7000m Himalayan mountains. 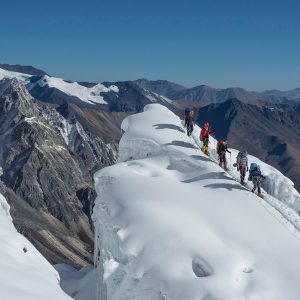 Our on mountain Sherpa staff will consist of top Nepali climbers who have years of experience on the high 8000 meter mountains. 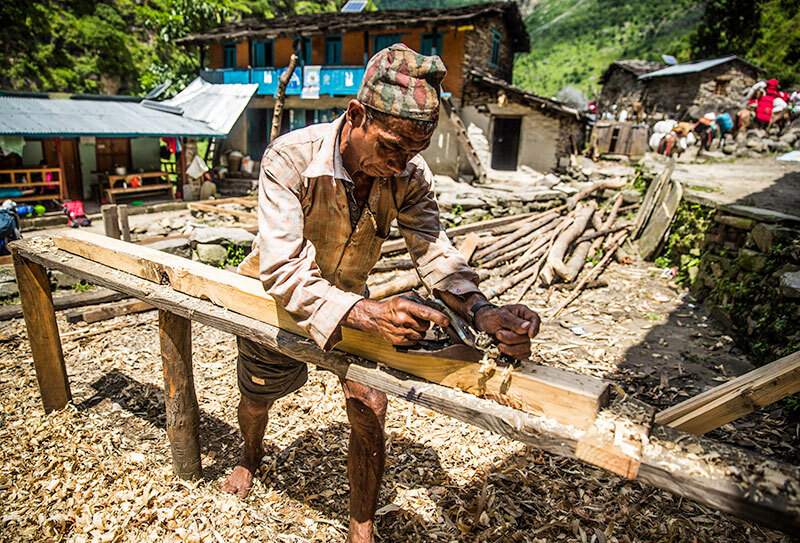 Our staff work very hard to fix ropes, stock camps and assist our team in reaching the summit safely. We will employ a full cook staff that specializes in healthy, abundant and tasty meals. Our cook staff is very talented and is always ready to make our team’s experience the best possible. Good food is a priority on our expeditions and experience shows that this is a key component of success on a long 8000-meter trip. 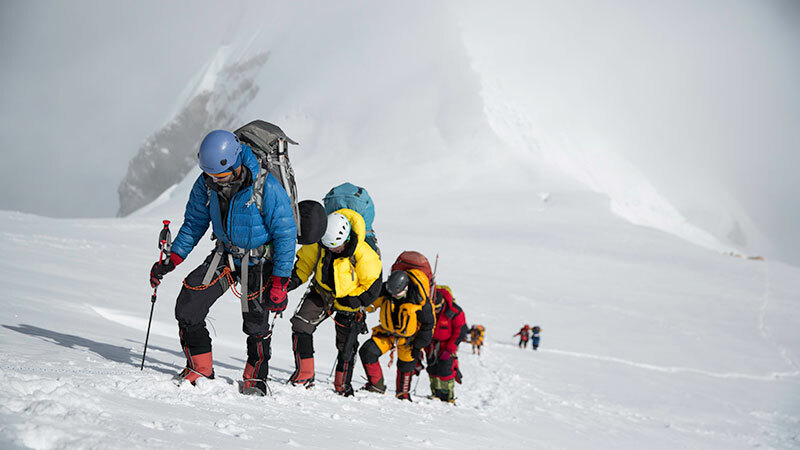 Our recommendation is for team members to have a solid mountaineering background that involves several trips to high altitude peaks ranging from 4500m to 6500m+ in elevation. 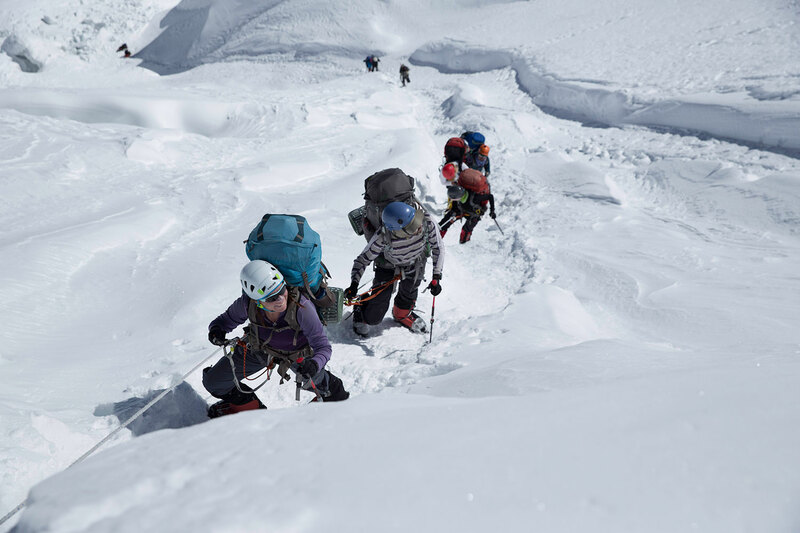 Team members must be very comfortable with glaciated mountain climbing skills and living at high camps. Past experience on 7000m and 8000m mountains is a definite plus. 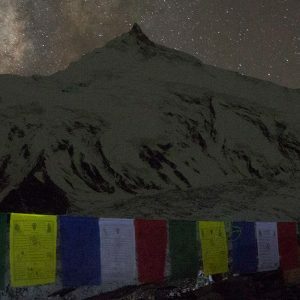 Our team will take sufficient time to rest and acclimatize in base camp prior to beginning a conservative climb to the higher camps. 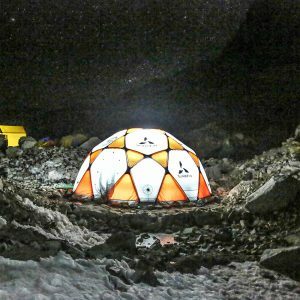 The location of Camp 1 will be at 5,700m. The route from Base to C1 will include rock scrambles on moraine and sections of glacier travel of varying terrain. 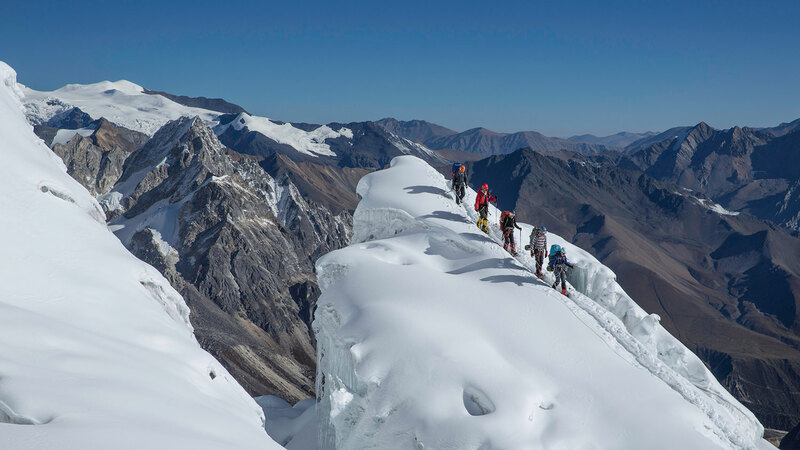 A climb of roughly 5-7 hours takes us to the flat saddle of Camp 3 at 6,900m. The route is less steep and weaves in and out of short ice steps. On the summit push, we will climb from this location another 5-7 hours to our Camp 4 location. Here we will rest, eat, drink, and prepare for the summit bid. 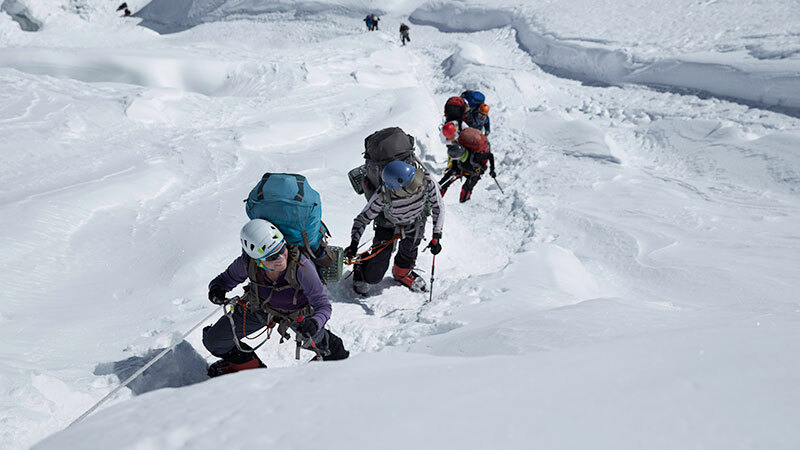 The climb to the summit, while not technical, is demanding given the altitude. 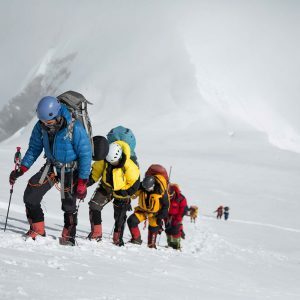 We will climb with our team of climbing Sherpas who will help break trail and fix rope in any locations that require an added margin of safety. 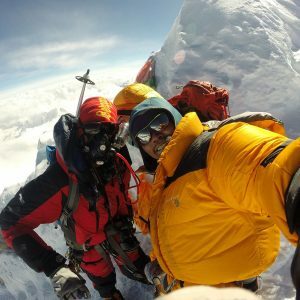 Our goal… to have a safe expedition, have fun, and then to reach the summit of Manaslu, the 8th highest mountain in the world. Helicopter Flight from Base Camp to Kathmandu. 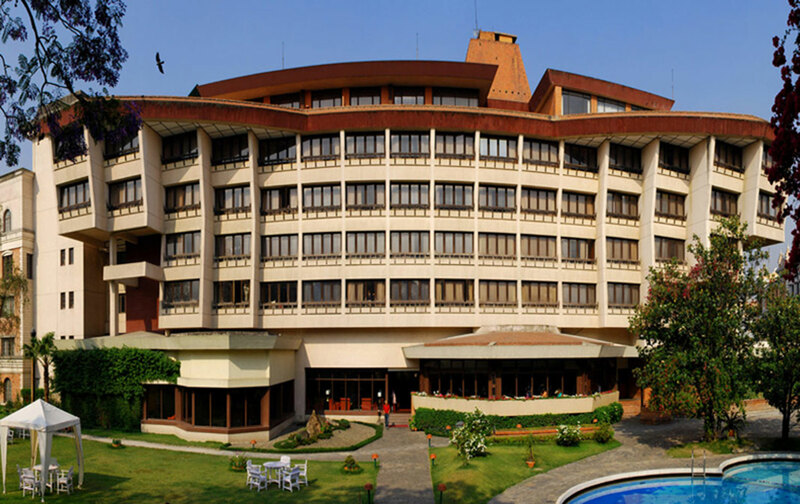 Four nights private accommodation in our Kathmandu Hotel the Yak and Yeti. Full board on twin sharing basis on trek in tent or tea house. 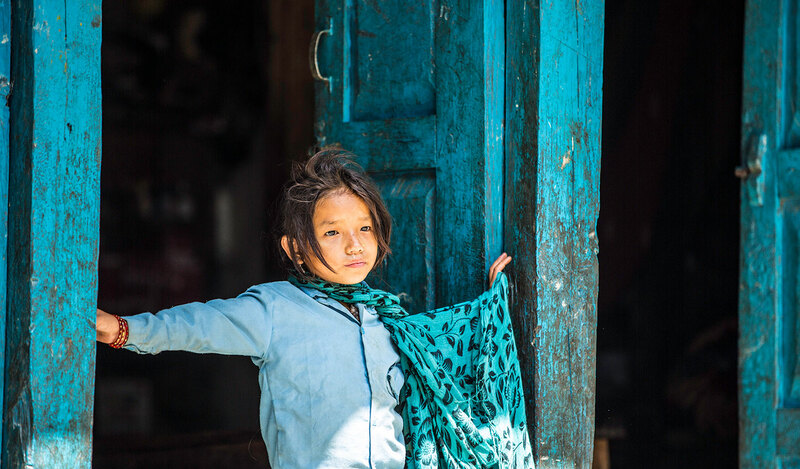 Porters, and guides to and from Base Camp trek. 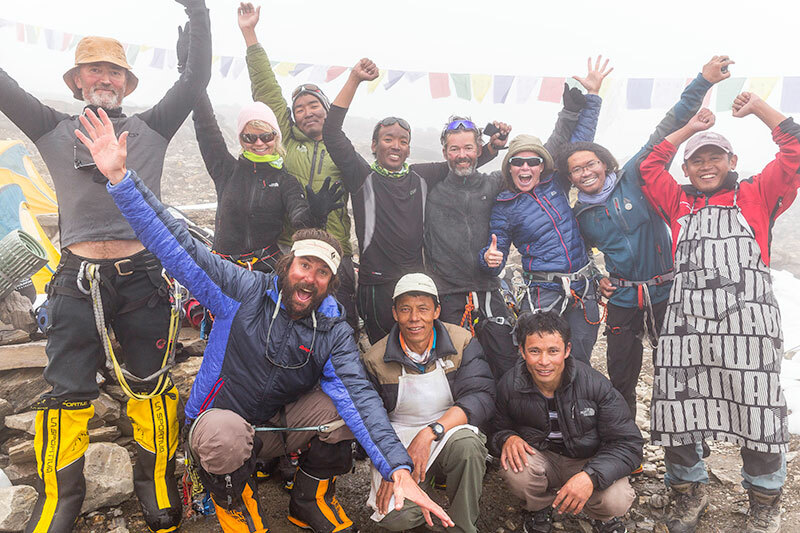 Sherpa cooks, kitchen and climbing staff. Heated and carpeted- dining tent, full kitchen, shower and toilet tents, chairs. All meals at BC, staff equipment allowances, staff daily wages, insurance. Free Unlimited Wifi at Base Camp via our Thuraya XT+ system. 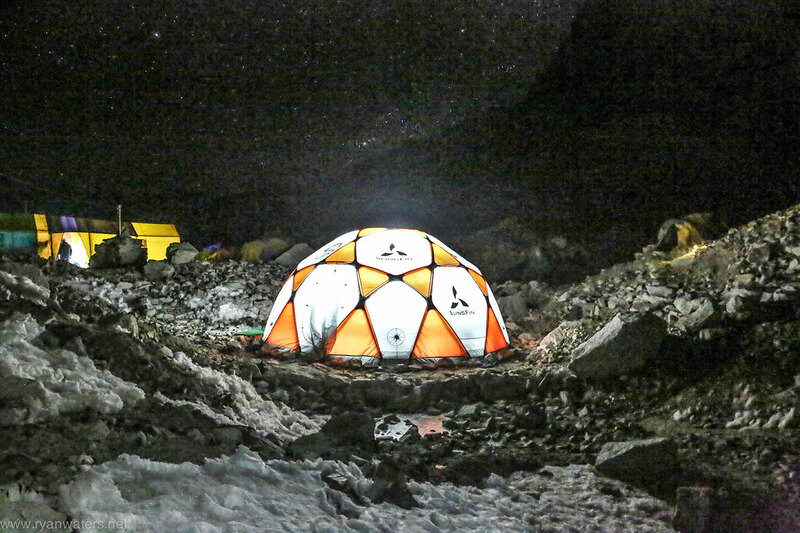 Group climbing equipment, high altitude tents, stoves and fuel, high altitude food. Two way radios and VHF Basestation BC to mountain communications. Two – 4 liter bottles of oxygen and use of Top Out Mask and regulator. Comprehensive medical supplies and Wilderness First Responder. 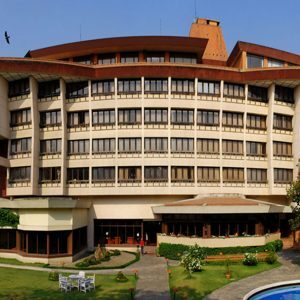 Meals in Kathmandu, outside of welcome dinner. 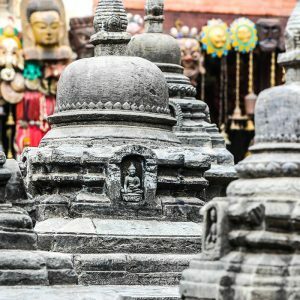 Nepal entry visa, Kathmandu airport departure tax, personal travel. Travel/Trip Cancelation and Rescue Insurance (required). Staff gratuities for Climbing Sherpas and Cook Staff.